What would the Florida landscape be without our palm trees? Those gracefully curved trunks and topknots of fronds are mainstays of any tropical setting. 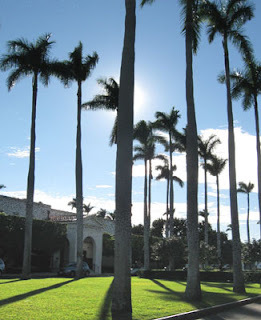 While many palms serve as trees in the landscape, they are not true trees, botanically speaking, because they don't have a cambium layer under a coating of bark and cannot develop annual layers of wood like actual trees. Palms are monocots and are more like grasses. A cross-section of a palm shows a curly or random fibrous grain rather than annual rings. This arrangement of woody tissue is usually quite flexible, making palms an excellent choice for wind tolerant landscaping. 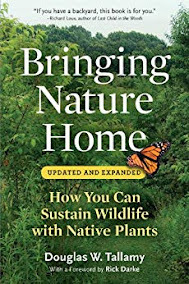 Because I'd donated 50% of my book's royalties to the Nature Conservancy of Florida, Erica La Spada, a donor coordinator there, invited my husband and me to a private guided tour of the Disney Wilderness Preserve south of Orlando in Kissimmee. Wow! We were impressed with the size (12,000 acres) and with what the Conservancy has done to restore the property from ranchland back to its original status according to the records from the first Spanish missionaries. 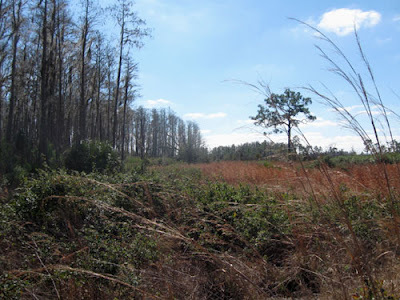 This site began as a mitigation site to offset the land that was used in the making and expansion of Disney World. Disney has provided an endowment that has allowed the Conservancy to do most of the restoration, and some of the wildlife monitoring. While Disney gave the first 8,000 + acres. An additional 3000 acres came from the Greater Orlando Aviation Authority and a few more small parcels from other companies (Universal is actually one of them.) to make up our current 11.866 acres. 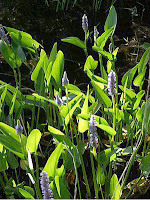 How important is it to use plants from local sources when working to restore damaged or compromised ecosystems? How is “local” defined? These were two of the questions that were explored in the afternoon session of the Economics and Ecotypes workshop put on by the Association of Florida Native Nurseries (AFNN) in Kissimmee last month. The University of Florida sent down a fleet of professors from their Consortium for Horticultural Application in Ecosystem Conservation. These passionate folks had some very interesting research to share as the crowd wrestled with both the ethical and the practical problems that restoration can pose. 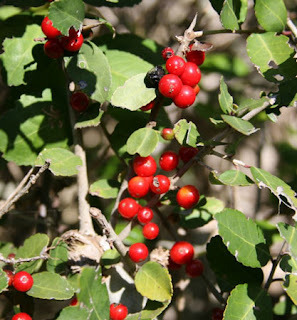 The Consortium works to provide science-based information to meet the needs of the native plant industry called in to supply the plants for restoration work. 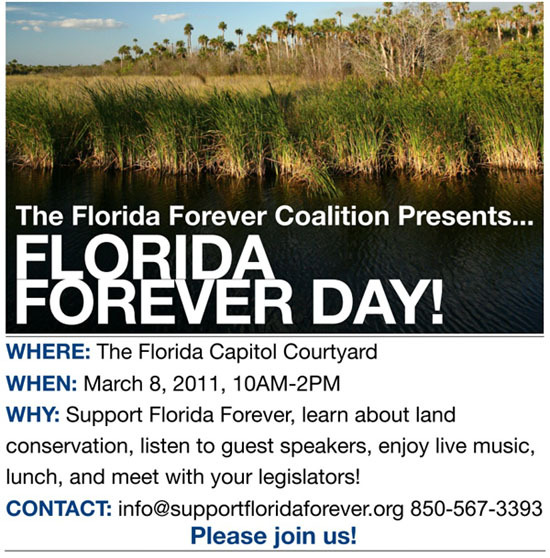 Please see flyer (above) for Florida Forever Day on March 8, 2011. We need your help getting out the word on this important event. Please circulate this information widely and help us generate a great crowd! This year we will have tabling by more than 20 organizations, guest speakers, a beautiful exhibit of LINC Florida Forever photographs, lunch, and live music! 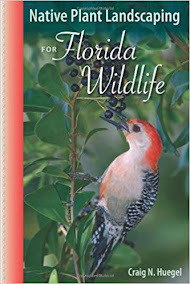 This is the first day of the 2011 legislative session and a great opportunity to make sure Florida Forever is in the spotlight. Please let me know if you need any additional information, and see you on March 8th! Is Your Landscape A Winner? Fantastic! 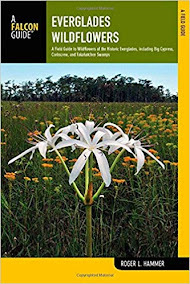 Because you still have time to enter the The Florida Native Plant Society's competition for Landscape Awards this year at the 31st Annual Conference in May. 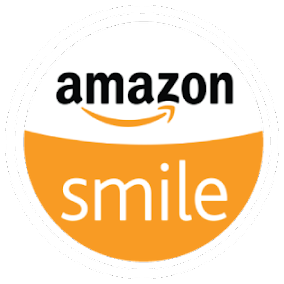 You can enter for free if you are a non-profit, school or governmental organization. Homeowners pay $35, and you professionals pay $200 to apply. 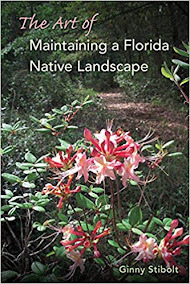 If you have,or did the design for a home, business or school site landscaped primarily with Florida native plants, you are eligible to apply. There are also categories for transportation, mitigation and restoration projects. Maybe you have a friend or neighbor who needs to be informed of this opportunity! 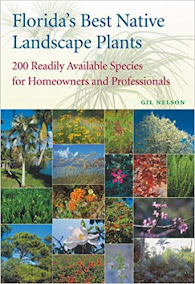 Are you planning native wildflower garden this year? If your garden design is calling for more than a couple of containers or a small patch, then you will love these tips straight from an expert, Jeff Norcini (OecoHort, LLC), a contractor for the FloridaWildflower Foundation. 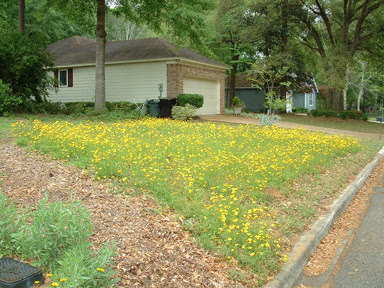 Weeds are the number one downfall of wildflower gardens! "When I have out of town visitors, I never take them to Disney…as a matter of fact I have never been to the Disney theme parks. I take my guests to the Forever Florida conservation area in my neighborhood that I learned about a few months after I moved to Osceola County in 2006. 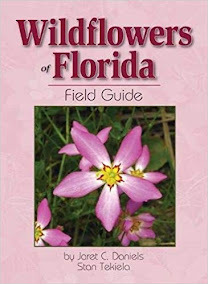 They have a quaint restaurant and offer an EcoSafari tour of "Real Florida". 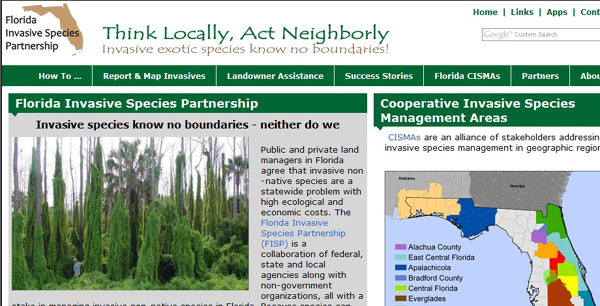 While there is a national recognition of Invasive Species Awareness Week (www.nisaw.org) with a conference in Washington, D.C., we here in Florida have have our own action-oriented plans. Some of our efforts have gained national attention like Gainesville's recent air potato round-up in an AOL article, and regional attention with articles like this one in the Dayton New Journal "New coalition Works to Stamp Out Invasive Plants," and this Orlando Sentinel story, "Volunteers Help Pick Up Pesky Air Potatoes at Orlando Park" withe the subtitle: "Central Florida Cooperative Invasive Species Management Area's holds Air Potato Mega Raid at 14 sites." Guest blog By Jim McCuen, president of the Lyonia Chapter in West Volusia County. All the photos are by Gil Miller. 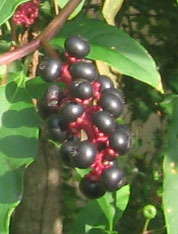 ﻿Pokeweed (Phytolacca americana) has a wide distribution from eastern Canada, down through all of Florida, across the southern states, and up the west coast to Washington State. 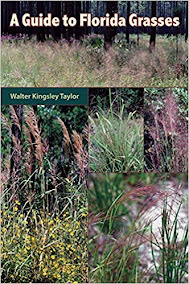 They favor sandy disturbed soils. Poke weed plants have grown very well atop the drainfield mound on our property. The official descriptions of this plant peg the height as up to 10 feet. I guess "they" didn't consider our long growing season here in Florida or that they might lean on tree branches for support. Pokeweed continues to grow, bloom, and produce its dark purple berries right until the first killing frost when it dies back, but the root survives and sends up new shoots in the spring. Each year the plant gets larger and some of ours have reached more than 20-feet tall when they can lean on something for support. 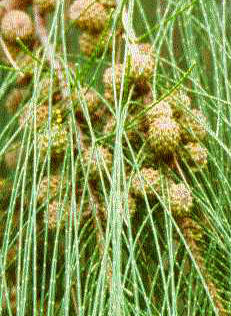 The stems are weak because of the mostly hollow pith and without support, the plant breaks when it gets too heavy with berries. What Florida Native is This? When we moved into our northern Florida house, we stopped mowing the St. Augustine grass that had been planted on top of the raised septic drainfield. The grass was not doing well in that very sandy, well-drained environment. Since then, it has become a good meadow with various tenacious grasses, rushes, back-eyed susans, beggars' ticks, and these plants. 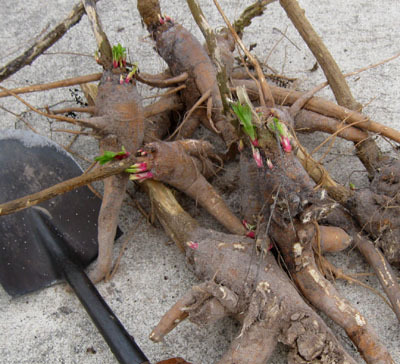 Once a year we remove the trees that sprout here because they'd ruin the integrity of the drainfield, but who knew that these monstrous roots were beneath this native plant?